Advice from a pastor: What to plan before you say, "I do." Contact the pastor you want to officiate your service early on in the planning process. He has had several instances when couples came to him and asked him about his availability on a certain date only to find out that his schedule is full. Rich recommends giving yourself a year to plan your wedding day simply because you will feel so much less rushed. "If you wait, you might be disappointed. You can do without a lot on your wedding, but you definitely need someone to marry you!" 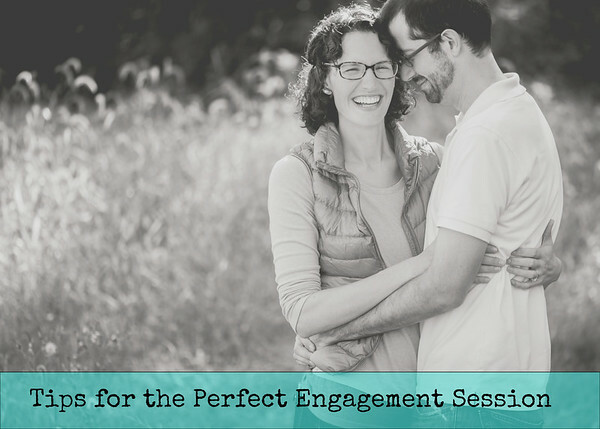 As part of the preparation, couples should get together and talk about their vision for how the day might look and feel. It is so easy for the plans to spin out of control as you hear ideas and suggestions from friends and family or even plans that are seemingly thrust upon you both and suddenly the day gets much more complicated. Rich recommends keeping plans simple because when you get down to it, its not really about getting the best venue, its about joining your lives together! 2. Continue to Invest in Your Relationship. Rich recommends continuing to do the things that helped you fall in love in the first place. He has witnessed couples who let planning take over every minute together. Even the closest couple risks drifting apart if they discontinue investing time into their relationship. Plan together! This is one of your first big projects. There will be many more! (Building a deck, raising a child, training a puppy, putting together furniture, choosing a new car...I could go on!) This project is a reflection of you as a couple and says, "We are still growing in our relationship." "We are still growing in our relationship." If you're going to be married by a pastor in a church, you should probably expect some premarital counseling. Consider what you might like to discuss in advance so your time can be much more productive. What are the big areas that you should talk about ahead of time? Not every couple struggles with the same issues, but it is so important to have authentic conversations about these topics to continue to grow together and learn about each other. Rich reminds us not to be afraid to speak about what you believe in these areas before you get married! For many couples, opinion differences in these areas might not be realized because both grew up in very different ways and each just assumes the other grew up similarly or feels similarly. It is also important to note that it is never a good idea to quietly plan to change your partner's mind about one of those big issues after marriage. You don't have to agree on everything, but talking will only help in your relationship. We get really caught up in the visuals of our day and it might go unnoticed that your mind has slipped from finding a meaningful church to finding a beautiful church. Rich reminds us not to think about architectural features or lighting but to consider and seek out a place that you could see yourselves attending. Ask each other, "Why is it important to us to get married in a church?" Check out the church during a worship service. Then, contact the pastor and ask about church policies for marrying couples who aren't members. Be aware of any expectations about the process. 5. What costs are involved? You should ask your pastor or staff about specific costs. There are costs to use the building, i.e. Rental charges would cover insurance, lighting, heat or cooling, etc. ; Custodial costs, Minister's honorarium, Organist or Pianist's honorarium. In most places, these costs would be under $500.00. The pastor's fee is typically modest, and Rich suggests that it should be so, but not to begrudge that cost. I'm adding that this is typically an extra day away from family and other work planning that must occur for worship usually the following day. Lavish weddings often mean more work for the pastor and staff too and a donation beyond the fees might be appropriate depending on your plans. I remember this being true for my wedding. Our pastor had to drive pretty far, so we wanted to recognize that sacrifice by giving him more than the honorarium listed. It might help to first consider, "What is a church wedding?" A wedding is really a legal ceremony but when it takes place in a church, you are adding the element of asking God's blessing on your marriage. The ceremony then also becomes a worship experience. When you plan with the pastor, consider, "How can we honor God in this ceremony through scriptures, listening, and music? Is there a song that is special to us or would be special for the congregation to hear? You should also decide if you want to celebrate communion. In some Christian traditions, this might already be part of the ceremony, but in other traditions, the bride and groom can make that decision. Try to think of a meaningful passage. I'm sure you too have been to more than a few weddings that read from I Corinthians 13. The interesting thing about that passage is that it was written by St. Paul. Jesus actually spoke many times about love. Turn to those scriptures, Rich suggests, to check out what Jesus says about love. There is so much! Another popular passage is the story of Ruth in the Old Testament. When Brady and I got married, we read the passage about the person who found a pearl of great price in a field and then sold all he had to purchase the field. While you consider scriptures, also chat with your future husband or wife about who you might like to have read those scriptures. This is a nice way to involve people in your ceremony who aren't in your wedding party. Occasionally couples like to write their own vows or have a special poem read during the ceremony. Be sure to keep the pastor who will officiate your wedding in-the-know about these plans. It is courteous to allow the pastor to preview these vows and even to give him or her veto power so that the vows are meaningful over the course of your entire marriage. Never spring anything on the pastor. God is the center of the legal and worshipful ceremony. Despite our culture making lots of focus on the Bride and Groom, but the wedding couple aren't the star performers or the most honored guests. Rich reminds us that God is the most honored guest. When it comes to photography, remember that the day isn't just a photo opportunity. Photographers should be respectful and not ever detract from the ceremony. In come traditions, photographers aren't allowed to photograph during the ceremony. This can even very from church to church. Check on these policies as you plan so no one is surprised on the day of the wedding. 8. Chose an officiant with experience. Whether you consider yourself religious or non-religious, wouldn't you want someone with experience to officiate? Rich said, "Now, you don't need someone with 30 years of experience but certainly some experience is helpful." First time officiants won't be able to do justice to the couple. The service can become clunky, awkward, and even guests can see through these things. Have you ever been to a wedding when the groom, for instance, is running late and no one has heard from him, so everyone is anxiously wondering if he has gotten "cold feet." That is not the way you want to start your life together! Plan to come early so you can be on-time. Have the officiant's number or the church number just in case there is an emergency. Rich recommends being at the ceremony location two hours ahead of the wedding. This time frame should be increased or decreased a bit depending on in hair, make-up, and getting dressed needs to occur at that location too. If everyone comes dressed and ready, then you don't need much time. However, most of the time there are at least a few things that need to be done. Be considerate. Don't expect the pastor to spend all day. Invite him or her to the reception, but be aware that sometimes they aren't able to attend. Be joyful. Enjoy the process and the day. Appreciate who you have with you - both in each other as you join your lives together as well as in the friends and family that surround and support you in this big moment of your life journey. Make it a good beginning!